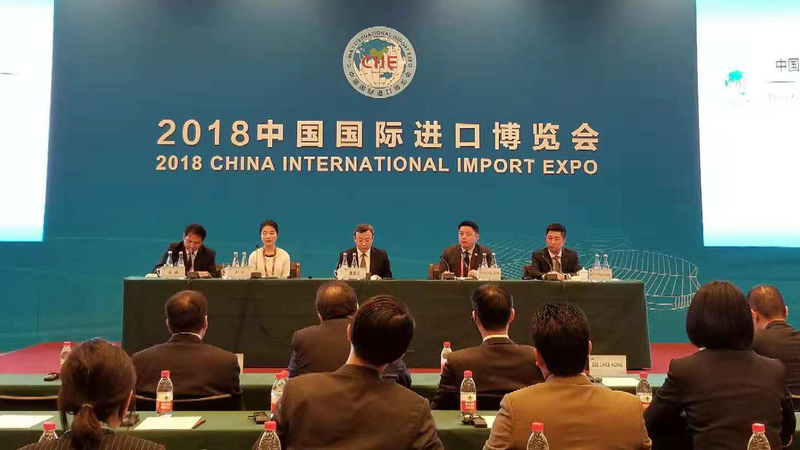 (5 November 2018) The English language version of China’s Smart FTAX System was launched on the sidelines of the China International Import Expo (CIIE) on November 5. The system, described as the “international” version of the existing Smart FTAX, was created to enable Chinese and ASEAN small and medium enterprises (SMEs) to access information related to free trade agreement (FTA) policies, Most Favoured Nation (MFN) tariffs and other complex regulations. Chinese Vice Minister of Commerce Wang Shouwen stressed that the development of FTAs remained a national priority, while Malaysian Minister of International Trade and Industry Datuk Darell Leiking said that the English version Smart FTAX System will enable SMEs to better access and leverage the FTA’s benefits. (5 November 2018) November 2018 will see the 10th anniversary of Alibaba’s annual shopping festival Singles’ Day. The festival, created in 2009, is considered to be Asia’s Black Friday. According to AdTech company Criteo, Singles’ Day broke online sales records across Southeast Asia in nearly every retail category last year. The sale is expected to continue to snowball across the region this year, what with Alibaba’s export-oriented e-commerce platform AliExpress and Alibaba’s Southeast Asian e-commerce platform Lazada participating in the festival. According to a study by Google and Temasek, Southeast Asia’s e-commerce market will be worth US$88.1 billion by 2025. (2 November 2018) China’s State Councilor and Foreign Minister Wang Yi led a delegation to Davao City to firm up agreements to further strengthen economic cooperation between the two countries. Three bilateral agreements were signed by ambassadors from the respective countries to confirm a feasibility study of the Davao River Bridge project, a supply of law enforcement equipment to the Philippines, and a grant for Typhoon Vinta victims. The meeting is a precursor to Chinese President Xi Jinping’s visit to the country later in November, where at least five more agreements are expected to be signed. (1 November 2018) A Chinese investor has committed US$1.92 billion to transform Kuraman Island into an international island resort. The project, which will comprise several hotels, residential and commercial projects, is expected to create 10,000 jobs and attract at least 800,000 tourists to Labuan every year. According to Labuan Corporation Chairman Datuk Seri Amir Hussien, the 10-year development which commences in 2019 will have trickle-down effects on Labuan’s local economy. Further, three man-made islands will be built around the existing Kuraman Island, culminating in a grand four-island resort which he compared to Mexico’s premiere coastal destination Cancun. (2 November 2018) The inaugural China-Singapore Connectivity Initiative Financial Summit held in Chongqing saw 10 memorandum of understanding (MOUs) inked to promote cooperation between Singapore and western China. The MOUs signed included agreements to help develop Chongqing’s fintech industry, enhance support for the Southern Transport Corridor (STC) and help microfinance companies issue debt overseas. Further, OCBC Bank, Xiaomi Inc and Hanhua Financial Holding Co will explore fintech collaboration in the areas of retail and institutional financial services in China. The summit is a signature event under the China-Singapore (Chongqing) Demonstration Initiative on Strategic Connectivity (CCI).